Summary of Acton Gardens Regeneration Inquiry – Is it good? Definition of House: a building for human habitation, especially one that consists of a ground floor and one or more upper storeys. Definition of Home: the place where one lives permanently, especially as a member of a family or household. 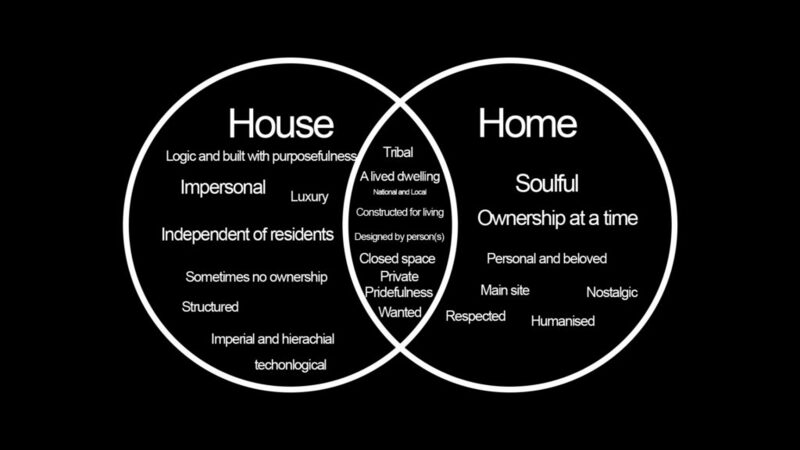 The terminology of home and house are politically devicisive. The term home implies a personal attachment to a house, one that should be respected and valued in civilised society. On the other hand a house is a lived space, where an individual or individuals reside, one that can be reposessed or demolished. Where tenants can be evicted and displaced. Is the concept of home respectable enough to be considered by corporate entities? It seems that London is built upon an isolated sense of house, a temporary residence that allows a meek version of home. Buildings are furthermore distancing of emotional attachment, but a block is the fundamental disassociation of humanisation. Conflict arises when a home is devoided as just house. Most notable for London are the regeneration projects that require demolishing council flats and replacing them with private housing association flats. Although homes and houses are not mutually exclusive, homes can be diverse as well as houses. Some tangible and structural examples of houses are flats, buildings, boats, and other inpersonal structures. Homes are usually odd and specific, more than rarely structures of personal construction like boats, caves, and shacks. All contents in this blog is voiced by Avishkar Chhetri and does not represent other corporate entities nor the residents of Charles Hocking House or South Acton Estates/ Acton Gardens’ Estate.